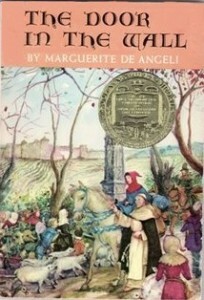 This Newberry Medal winner is a well-crafted historical fiction children’s book set in medieval England, complete with knights, plagues, and cloistered monks. I loved reading the way it makes history become alive, become a story lived by real people, rather than a series of dry facts. Understanding the effect of the plague, of wars, of battles, especially on children, makes the whole period seem totally authentic. When you add to that the fact that the author lives in modern times, it’s hard not to appreciate the skill of imagination required to craft a good children’s book like this. As with other historical fiction, my sense is most are best used in a classroom setting, as children may or may not gravitate towards them on their own. However, for any fifth or sixth-grade class learning about knights, this children’s book is fabulous. With the main character a young boy, it may have particular appeal to boys. There’s plenty of drama in the book, especially as the young crippled boy becomes a hero in the end, with a very daring adventure on his own. I would particularly recommend a second reading of this book, as there are some details that may fly by in the first reading where you are trying to get the sense of the story itself. The language is unfamiliar enough that it takes another reading. This also makes it great for classroom (or home schooling) study, as there’s lots of vocabulary to be learned. If you are using it for classroom or home school, there are also study guides available.